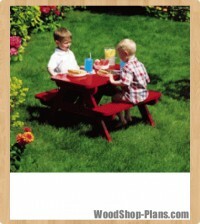 Cut your boards and sand and paint as desired, sealing all edges with an exterior sealant. 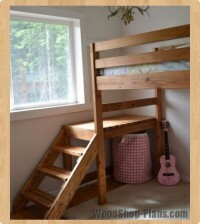 Make sure the finish is appropriate for child use. 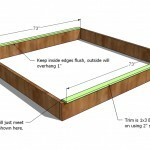 As you build, check for square after each step. Also check for level. Predrill and countersink your screws. Use necessary safety precautions and equipment. Dig. That’s right. Dig. 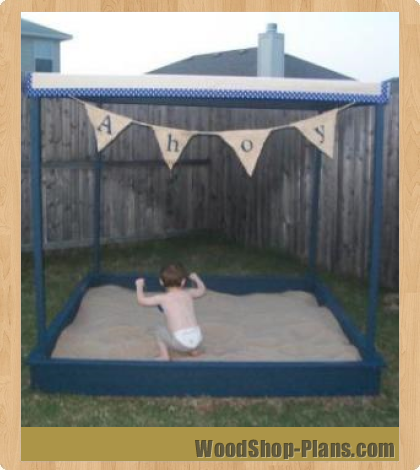 Rake, whatever you need to do, create a level surface for your sandbox. 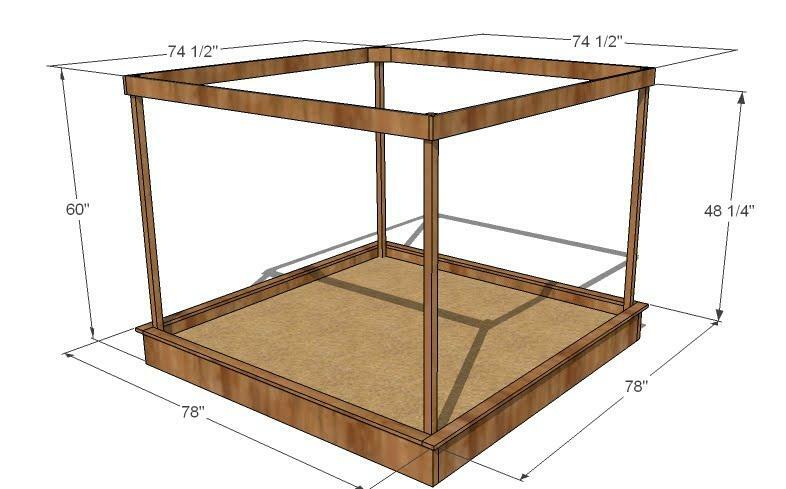 Then build the sandbox as shown above, using 3″ screws to fasten the corners. 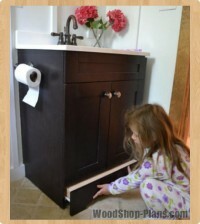 Predrill and countersink your screw holes. 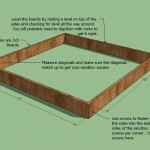 Level the sandbox by using rocks as shims or digging down high points. Trim. 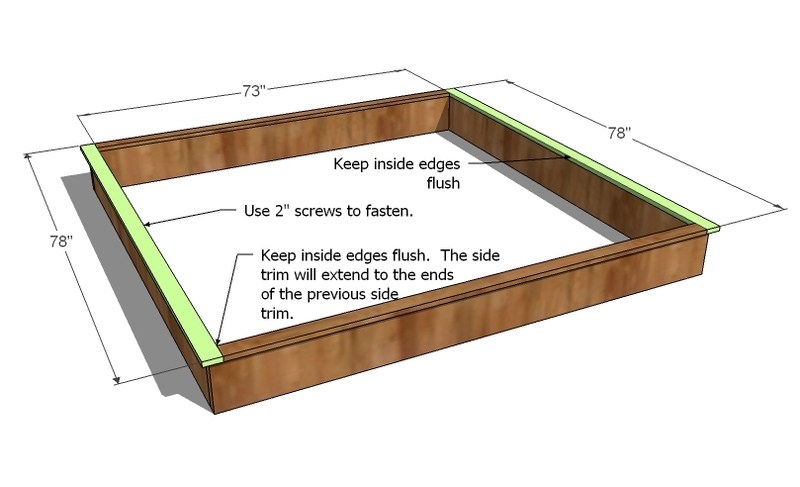 Fasten the top trim to the LONGER sides, as shown above. 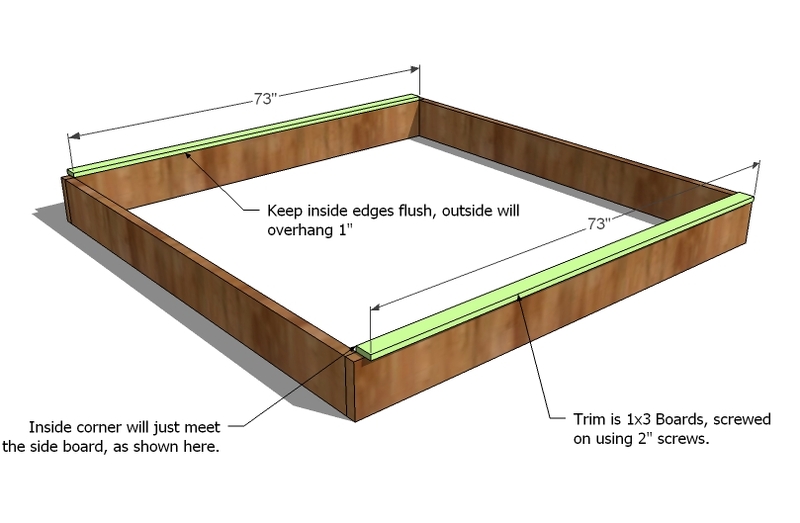 Use the 2″ screws. Keep inside edges flush. Trim. 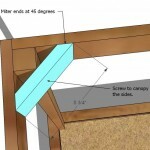 Finish the trim, as shown above, screwing in place using 2″ screws. 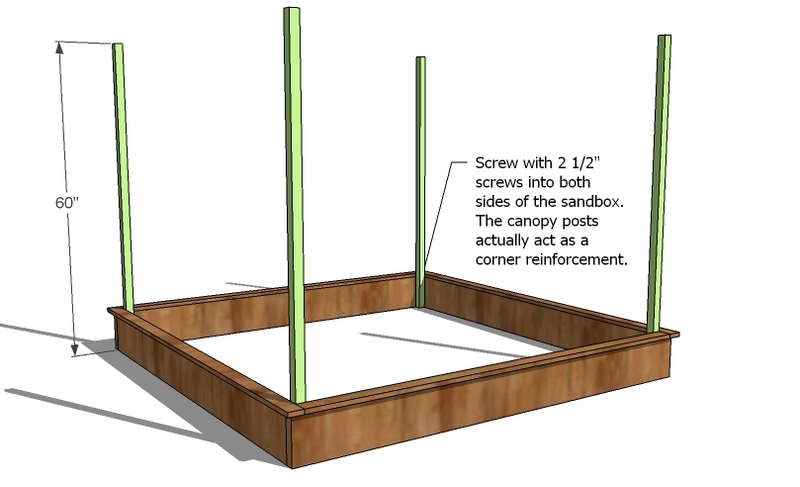 Notice how this trim overlaps the joint on the sandbox sides? 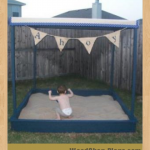 Make sure you fasten to both sides of the sandbox sides to reinforce the joint. 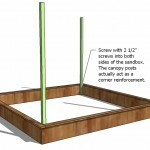 Canopy Posts. 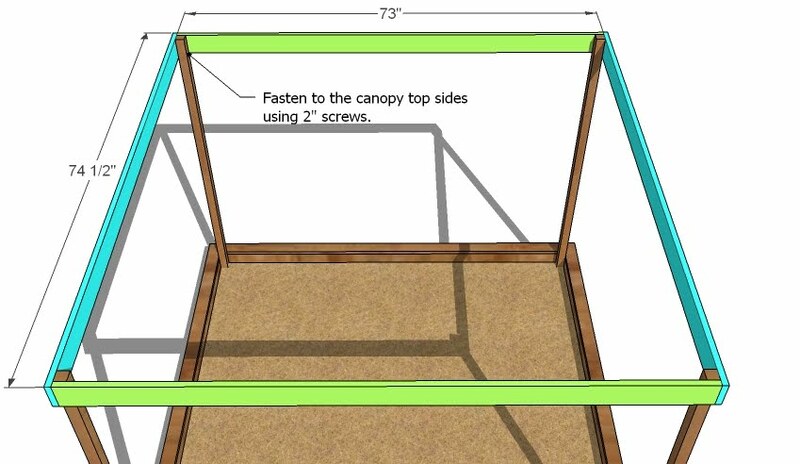 The canopy posts actually act as corner blocking to strengthen your corners. 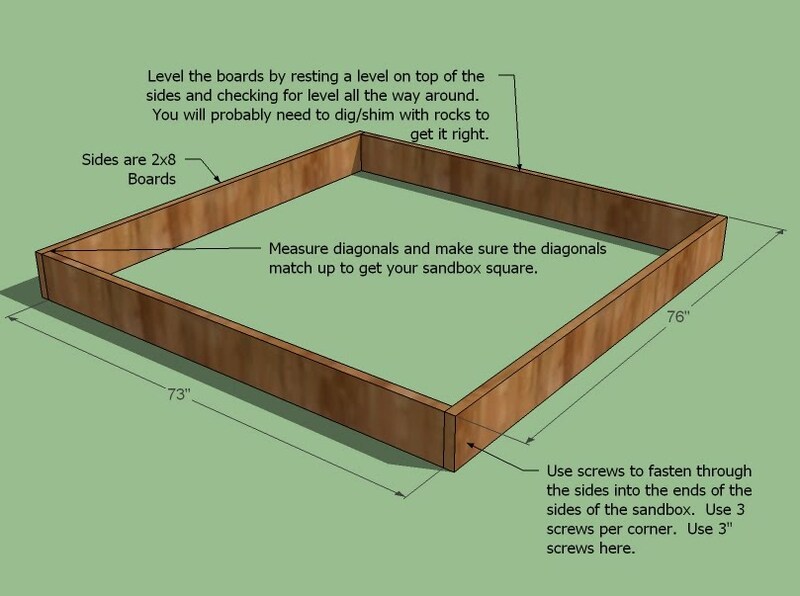 Be sure to screw the corners to both pieces of the sides, two screws per side, for a total of 8 screws per corner. Canopy Sides. 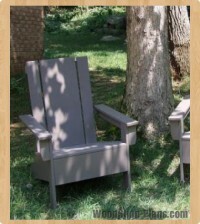 Start by fastening the shorter canopy sides to the canopy posts, keep end and top edges flush. 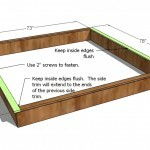 Use the 2″ screws. Then fasten the longer canopy sides, top and end edges will fit flush, as shown above. 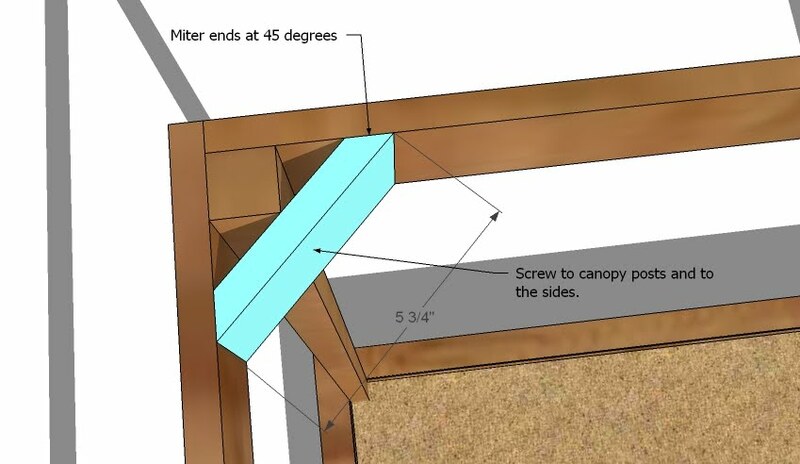 Canopy Corners. 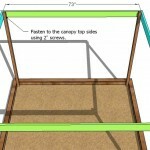 To keep the top straight, add corner blocking as shown above. 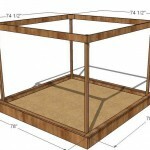 Make sure your canopy is square before attaching the blocking.